In addition, we will list where you can get tickets for other ticketed events if we know the source. 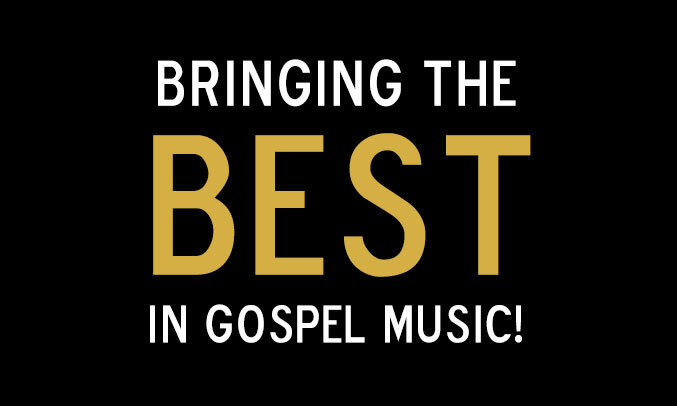 For information on all Southern Gospel concerts scheduled in the Greater Portland Area - both ticketed and non-ticketed, go to the Concerts page. 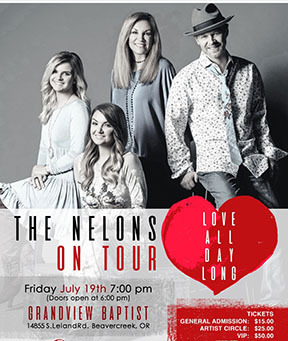 The Nelons "Love All Day Long Tour"
Greater Portland area. Sign up to receive updates by email. To Subscribe to our email list, Click Here! To Unsubscribe from our email list, Click Here! Information contained on this website is gathered from a variety of sources. While we have verified this information to the best of our ability and believe it to be accurate, we cannot guarantee it's accuracy. Further, we assume no responsibility for actions or results based upon this information. We welcome all comments and corrections and will either correct the information as soon as it is verified or remove it from future updates of the website.